He left the nation in tears when his character was killed off on Christmas Day 2002. 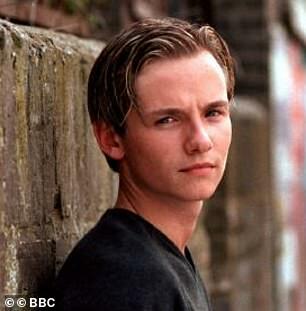 But ex-EastEnders star Jack Ryder, 37, is worlds away from his soap days, as he appears in a trailer for the new series of Holby City. Ditching his famous blonde curtains in favour of a more greyed look, Jack can be seen in the preview ahead of his debut on the drama next week, sending fans into a tailspin with his transformation. Jack will take on the role of newcomer Evan Crowhurst in his first scenes next week, and the preview hints that he will immediately clash with Dom, played by David Ames, who attacks him in dramatic scenes. Evan will appear as the boyfriend of newcomer Chloe Goddard, so it remains to be seen what viewers can expect from his character. Even before his first scenes have aired, viewers have already gone wild for Jack’s transformation, taking to Twitter in bewilderment that he is the man who played Jamie all those years ago. Jack is most well-known for his role as the soap heartthrob Jamie Mitchell, who was tragically killed off on Christmas Day in 2002 after he was run over by love rival Martin Fowler. 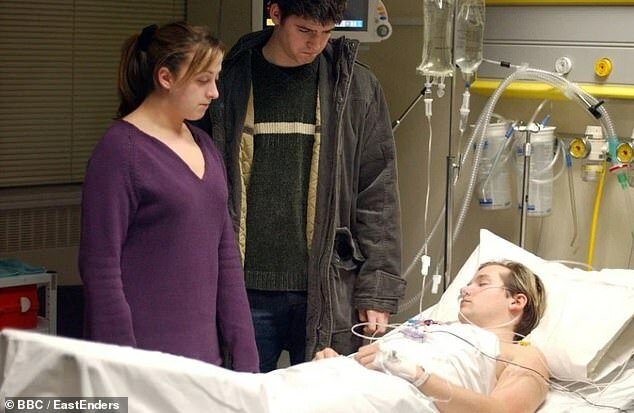 After several days in hospital, Jamie abruptly passed away in his beloved Sonia Fowler’s arms, leaving her utterly distraught and fans at home weeping. Since leaving EastEnders Jack has appeared in various other roles, including Single Spies, Popcorn and The Archers, and also featured in a touring production of The Full Monty. The star was also married to Coronation Street actress Kym Marsh, from 2002 to 2009. ‘He’s both a household name and a superb actor, and fans who remember him as Jamie in EastEnders are in for a big treat and quite a surprise seeing him in this very different role. 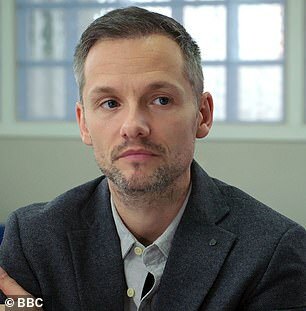 Jack Ryder will make his first appearance on Holby City on Tuesday 19th March.